Seren Morgan Jones was born in 1985 in Aberystwyth, Wales. She graduated from Central Saint Martins College of Art, University of the Arts London, in 2009, with a BA in Fine Art. Before that she was at the Byam Shaw Fine Art Foundation from 2005-2006. Women are a central theme in Seren's work and she strives to create images using elements of classical painterly language, with a subtle contemporary, feminist twist. She explores classical painting and portraiture for inspiration and guidance when painting character portraits. 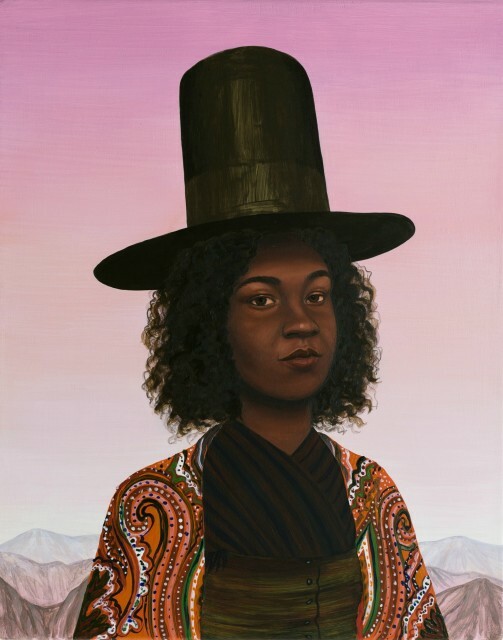 Jones' portraits depict fake constructs rather than actual bygone figures, but are based on accurate evidence sought through researching historical archives. The paintings emerge initially from a place of research and out of a sense of duty for the subjects. Jones seeks to expand the scope of traditional portraiture, constantly revisiting history and re-imagining to provide a new and deserved visual place for Welsh women. Seren Morgan Jones' sell out debut exhibition was with us in May 2017, She will return again with a new body of work in July 2019, during our celebratory 'Welsh Women' Exhibition.